This weekend I plan to take advantage of the frigid temps to finally – and I really mean it this time – burrow in at home and compile all my French vocab words into one specially formatted file that will (eventually) become an Anki deck. I say “eventually” because making the actual deck will probably take me another six months to get around to. Humans talk happy. But which language is the happiest? Google has upgraded its Translate app. The ten most accessible and overlooked ruins in Paris. Does your city have a French Corner? How French words made their way into the English language. 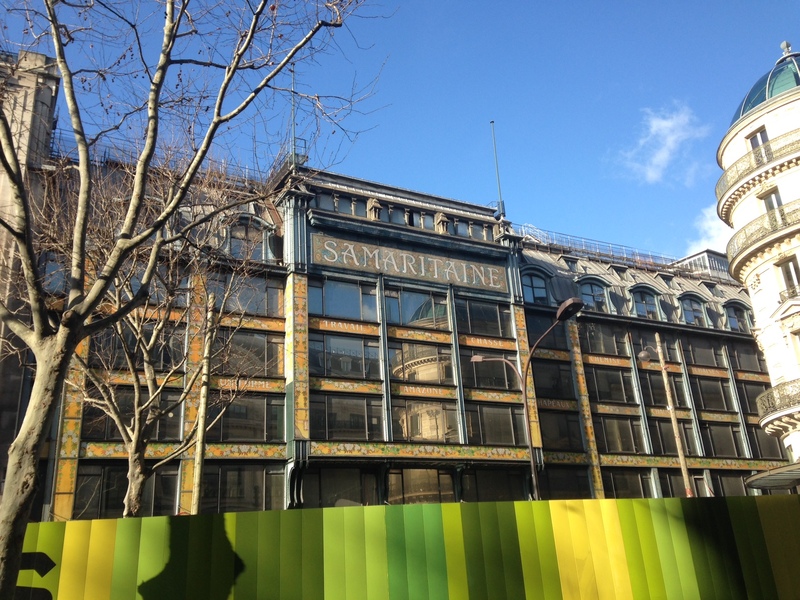 Shopping, tourism and the changing face of Paris (featuring a cameo by the building above, which made me do a double take when I passed its gorgeous Art Nouveau facade last month). Oh, and I recently learned that Duolingo is offering twice as many (free) languages this year as last (having added Danish, Turkish, Dutch and Swedish and Irish). A too-cold-to-go-anywhere weekend is a great time to get started!